Saving time and fuel over a long route, such as a trip to Oshkosh, Wisconsin, where many of us from around the country are headed, just got easier. The new wind optimizer function built into the upgraded AOPA Flight Planner powered by Jeppesen offers detailed insight into winds aloft for each leg of a route. The AOPA Flight Planner is not only powered by Jeppesen, it has also just been upgraded to offer a much more detailed view of winds aloft across every segment of the trip, allowing users to adjust altitude and create a plan that includes prompts for all planned altitude changes along the way. 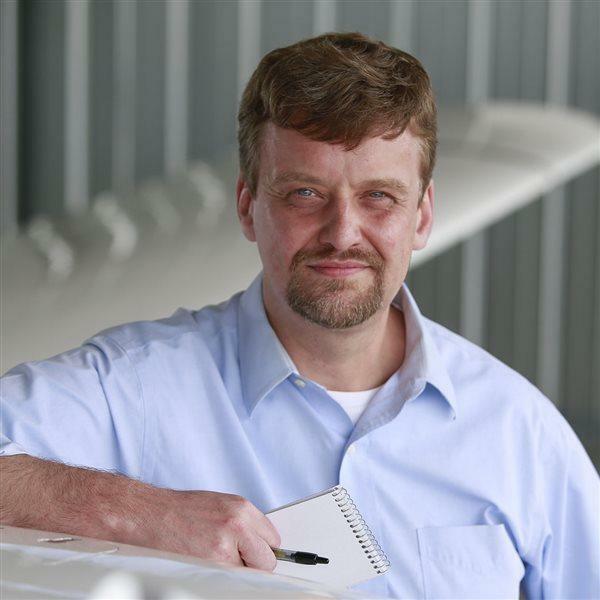 Eric Rush, director of AOPA’s project management office, said the package of new features brings wind optimization to a new level. Most popular flight planning and electronic flight bag apps have a wind optimization function, but they average those values across the route rather than drill down to each waypoint, and each segment of the route. AOPA’s development team has upgraded the wind optimizer function built into the AOPA Flight Planner to do just that, including a grid display of relative wind values across a range of altitudes along the entire route. This level of detail allows a pilot to find the most favorable altitude for every segment. Planned altitudes can be adjusted to make the most of current and forecasted conditions at specific points, or across the entire route. The new wind optimizer tool also incorporates alerts for airspace, terrain, or obstructions that might be encountered at a given altitude. Once created by selecting departure and arrival points, and selecting direct or airway routing, the entire route can be viewed at a glance, with color-coded blocks for each segment that list headwinds and tailwinds at various altitudes. A heatmap is applied to all the segments and darker colors represent higher winds for both headwinds (red) and tailwinds (green). Route segments that would cross into controlled airspace at a given altitude are flagged with yellow markers, and terrain or obstacle conflicts are flagged in red. Incorporating obstacle and terrain advisories into the wind optimizer provides another level of safety when selecting an optimal altitude. The updated AOPA Flight Planner also includes the return of one popular feature that was lost in previous iterations: the ability to include your own typed notes in a printed navigation log. The printer-ready log that users can generate once a plan is complete now includes, in green shading, important information such as radio frequencies for each airport, and places to write in clearance information when flying IFR. The kneeboard-formatted printout can be saved as a PDF file to your local computer, opened with Adobe Acrobat, and notes can then be typed into the space provided at the end of the log before printing a hard copy. The entire plan can also be uploaded into many popular EFB apps, just as before the update, while the newly improved hard copy makes a useful backup, even when using a mobile device in the cockpit. Rush, who admits to having firsthand experience with both his primary and backup iPad shutting down after being inadvertently left in a hot cockpit during, say, a lunch stop, said there’s no better thermal protection than having a paper copy of the navigation log, complete with reference information and notes. “All those little things that people like to jot down, we’re just allowing you to print out a nav log with room to make those notes,” Rush said.